Do you find yourself saying I'll never wear that in a million years, only to find that the powers of Demna Gvasalia can change your mind in the flash of a Balenciaga runway? 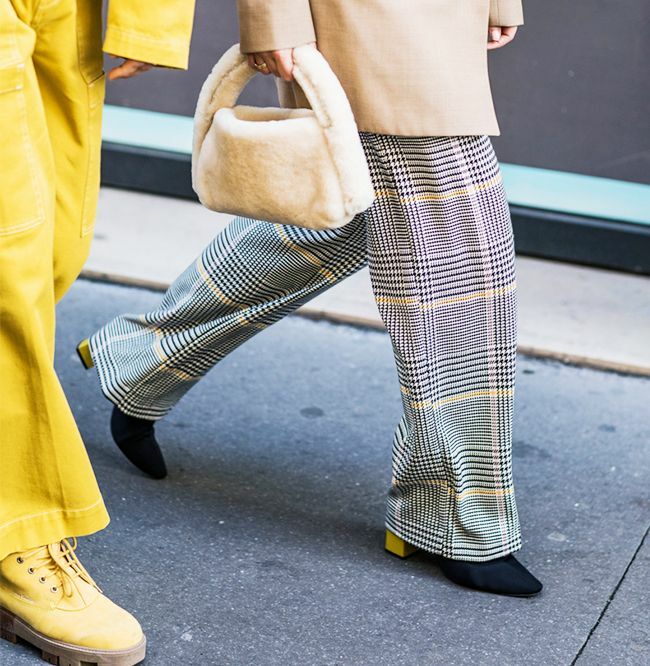 It happens to the best of us—fashion maestros are here to challenge our sartorial safe zones, after all, and never before have so many supposedly "bad" trends been in fashion. However, some personal style peeves can stay with you forever, particularly as you get to that magical point where your own look starts to manifest as an easy, daily norm. What have I done a 180 on? My thoughts on dungarees have changed (if designers want to make them sleeker, slim and flattering, more power to them and my thighs). However, there's still one niche fashion thing I just cannot get my head around—all will be revealed below. With that in mind, I quizzed the Who What Wear UK team to discover everyone's "least favourite" trend or item, and some very interesting answers rolled in. Keep reading to see the divisive pieces we struggle with and our top suggestions for a replacement. 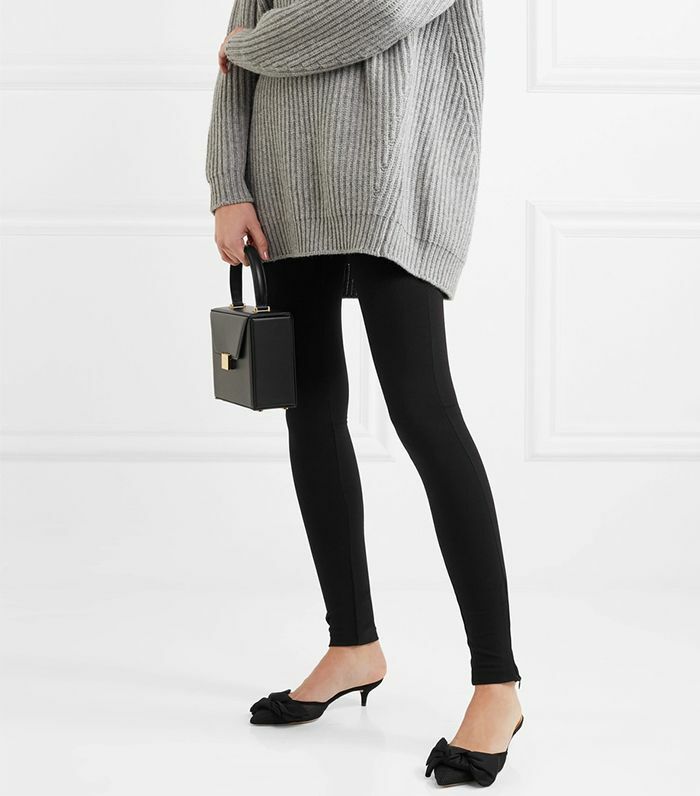 "A chic pair of leggings is a more grown-up way to do the sports-luxe trend celebrities are into." "Chenille makes my skin crawl"
"If texture is your thing, then you can't miss this season's avalanche of velvet. This is my current favourite." "Mesh layering tops are totally impractical"
"The mesh top. I don't get them because they're just not practical in any way. You have to layer them because, face it, you're not Bella Hadid and probably don't have the excuse of being a celeb to wear one sans bra, so you have to wear a shirt or something else over the top. But they provide no real warmth, so they aren't a good layering tool for the colder months, and yet somehow you end up feeling sweaty." — Elinor Block, assistant editor Who What Wear UK. "Call me sensible, but if you're looking for lightweight layers to creatively stack up during A/W 17, it doesn't get better than Uniqlo's Heattech." "What's with the clear plastic trend?" "Instead of a plastic mac for spring 2018, why not try something cool like this organic cotton bomber from Mango's highly lauded Committed collection?" "Exposed bras don't always look like they're on purpose"
"As much as I appreciate that the street style set is into wearing bras over their clothes, I'm never going to be wearing my bra over anything. I think it looks like you've rolled out of bed in a hurry and popped your clothes on in the wrong order!" — Cherry Collins, contributor. "I'd much rather accentuate my figure with a sleeker, more modern-looking corset or bustier, like this Tibi piece." Next up are the best fashion blogs to bookmark now.